Hasn't been to much time to edit here and the Fantasy Update I was working on seems to be an AD&D update to Millenniums End, so it has been put on hold as well. 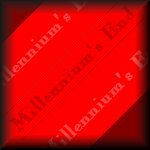 There is a mailing list for discussion of Millennium's End and related topics. To join, send an email note to the Mailing List, with the phrase "subscribe millenniums-end-l" in the body of the message (that last character is an "L", not a "one"). And also digest version of the list. To join, send an email note to Digest, with the phrase "subscribe millenniums-end-l-digest". © Millennium's End, and the Millennium's End logo, are trademarks of Chameleon Eclectic Entertainment, Inc.
Now this really is my ACCESSDENIED Gamer Database Entry! The old one must have been removed when my e-mail address was changed. Listed with the Adventurer's Guild Online,and the WebRPG.